HONG KONG, Oct. 10 (UPI) — The value of the Chinese yuan fell to a six-year low against the U.S. dollar in trading Monday. Following a weeklong Chinese holiday, the People’s Bank of China set the midpoint of the yuan/dollar exchange at 6.7008, up from the onshore closing figure of 6.6745 on Sept. 30, the last fixing of the value by the bank. Offshore, the yuan was weaker, trading at 6.7106, as the dollar gains strength because of speculation the U.S.Federal Reserve will announce a rate hike in December. The decline in the yuan also reflects a drawdown of China’s foreign currency reserves. 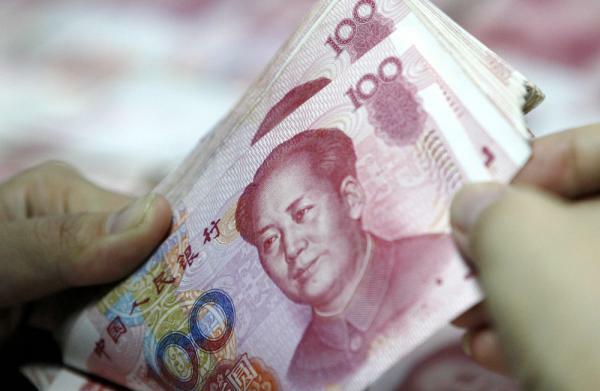 At the trading rate, one yuan is currently worth 14.90 cents, down from 14.98 cents on Sept. 30.